An air of elegance surrounds you the moment you arrive at the Faculty Club. Ideally located on McTavish Street, in the heart of Montreal, this extraordinary Club offers a unique level of excellence. Rich woods and graceful architectural lines welcome you to the lobby that is blessed with an abundance of natural light flooding through carefully preserved art glass windows, richly stained woodwork and decorative ceilings. These exquisite finishing touches are typical of grand buildings of the Victorian period. An important meeting, special event, banquet or wedding, the success of your private party is assured when it is held at the Faculty Club. 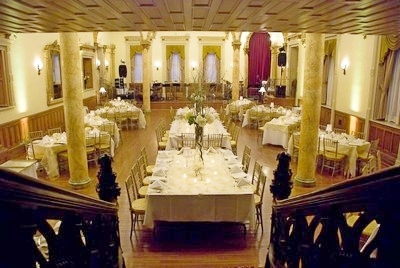 Once only enjoyed by faculty members, The Faculty Club now opens its prestigious doors to all McGill University faculty and staff for personal or professional events. Rooms can accommodate groups of 8 to 250. Services include full on-site catering, bar, and audio-visual. 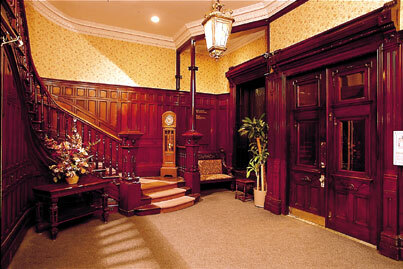 Rest assured, at the Faculty Club, your event will be a great success. When organizing an event, rely on our experienced staff who will help you plan and coordinate your event to its completion. The Faculty Club can also refer many reputable companies to fulfill any special requirements (publicity, audiovisual, meeting planning, traveling, accommodation, etc.). The Faculty Club can arrange all your audiovisual needs from the basic to the sophisticated.